Wednesday, July 12 was the Internet-wide Day of Action to Save Net Neutrality. Internet companies and activists used that day to make consumers aware that the government is weighing the possibility of loosening regulation of high-speed internet providers. Consequently, this will lead to changes in Net Neutrality enforcement. But what is “net neutrality?” Does it really affect everyday Americans? Yes, and here’s why. In February 2015, the Federal Communications Commission (FCC) passed new government regulation over broadband internet providers based on the principle of “net neutrality.” Net Neutrality means that all data traveling over the web is treated equally. Internet Service Providers (ISPs) cannot block or “throttle” websites they don’t like or are contrary to their interests. They can’t create “fast lanes” for companies that pay high fees, leaving the rest of us in the slow lane. The 2015 decision classified high-speed internet as a telecommunications service, with providers held to regulations under Title II of the Communications Act. The internet would be regarded as an essential service similar to a public utility. This essentially means that internet access is a right, and providers cannot restrict access to it. For example, imagine if ConEd shut off your power because you posted negative comments online about its customer service. They can’t, because that is illegal. Because of the 2015 Net Neutrality regulations, ISPs cannot legally restrict lawful internet activity, either. What Has Changed at the FCC? Five commissioners run the FCC. One serves as chairman. 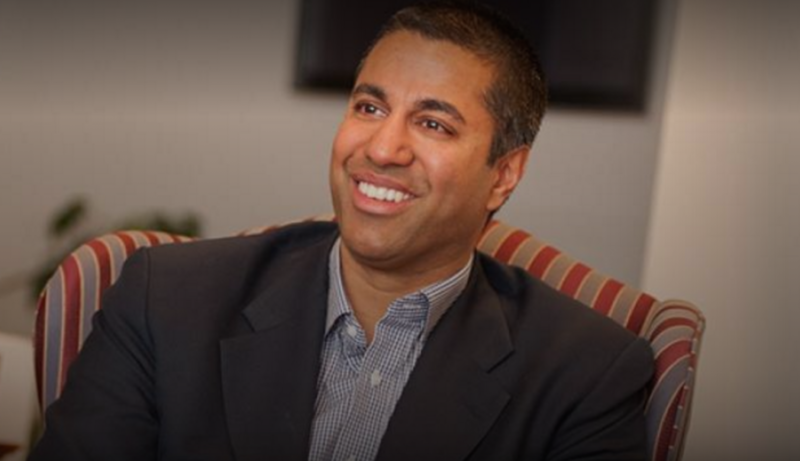 In January, President Trump chose FCC Commissioner Ajit Pai for the role of chairman, an outspoken opponent and dissenter in the FCC’s 2015 vote for Net Neutrality. In his dissent, he touted the Telecommunications Act of 1996 as an example of legislation that fostered freedom and competition. He described the 2015 regulations and classification under Title II law as “intrusive government regulations that won’t work to solve a problem that doesn’t exist.” So Pai, a former Verizon employee, used the argument that big government was trying to stifle business and growth. But was the FCC really trying to fix a system that wasn’t broken? Let’s revisit the 90s. Most internet connections in the early 1990s were dial-up (think AOL “you’ve got mail”), usually operated by phone companies. DSL was next, offering a faster option to those living in or near an urban center. Cable companies and fiber lines soon followed. With all of these options, the internet was booming and more companies wanted a piece of the pie. In 1996, Congress passed the first major communication legislation since the Communications Act of 1934. President Clinton signed the bi-partisan Telecommunications Act of 1996 into law. Its objective was to remove regulations for entry and foster greater competition. The Act removed the cap on the number of radio stations one company could own and deregulated cable rates. Furthermore, it eased broadcast cross-ownership rules. In the years that followed, the industry saw massive mergers and consolidation. By 2012, just six companies controlled 90% of media. 2004: North Carolina ISP Madison River Communications blocked all of its users from VoIP provider Vonage, which directly competed with its landline phone business. 2007/8: The Associated Press investigated Comcast for interfering with BitTorrent traffic on its network. The company denied the story, later admitting to “delaying” traffic. 2012: AT&T blocked FaceTime from running on its mobile service unless users paid extra for a Mobile Shared Data plan. Despite complaints filed with the FCC, AT&T initially claimed it had done nothing wrong. The future of Net Neutrality is in question and it is vital that consumers add their voices to the conversation. On the Internet-wide Day of Action to Save Net Neutrality, consumers reported 2 million comments to the FCC and made more than 100,000 calls to Congress. In addition, #NetNeutrality was a trending topic on Facebook and Twitter. If you haven’t added your voice, there’s still time. The deadline for filing initial comments is Monday, July 17. Reply comments are due August 16.